This April 27th 2019 join us for Giggles & Giving Improv Show and Silent Auction. Sign up for the Giggles & Giving newsletter to receive updates and announcements. Thursday November 8th we have three presentations presenting up in Traverse City at Re:con! Individualized Services as a Path to long-term vocational Success! 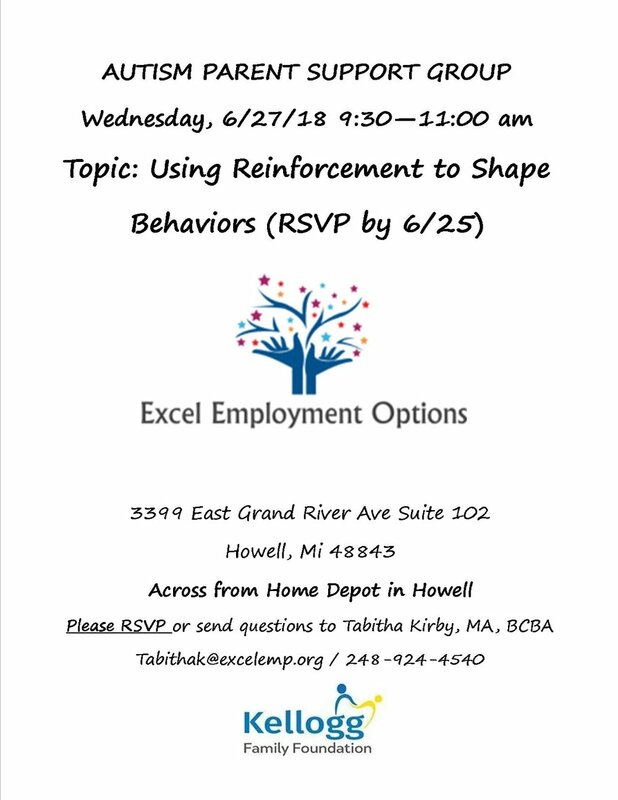 Transitions Directors from Excel Employment Options will discuss the importance of individualized services within the structure of an organization. Adapting to the different needs of the various schools, funders and individuals under the umbrella of Pre-ETS funding enhances the personal outcomes for people served and allows vendors to meet the unique needs of each stakeholder. Utilizing a client-centered approach to customizing assessments, classes, vocational exploration and employment services with a focus on building rapport, gathering in-depth information and matching services to goals leads to better recommendations and greater longevity in employment. Using Therapy and Psycho-educational Techniques to support individuals with Disabilities! Exploring Sole Proprietorship for people with Autism. We are excited to announce that 3 Presentations from Excel have been accepted for presentation at RE:CON in Traverse City Michigan this November. RE:CON is a convention held every fall that attracts professionals from all across Michigan. 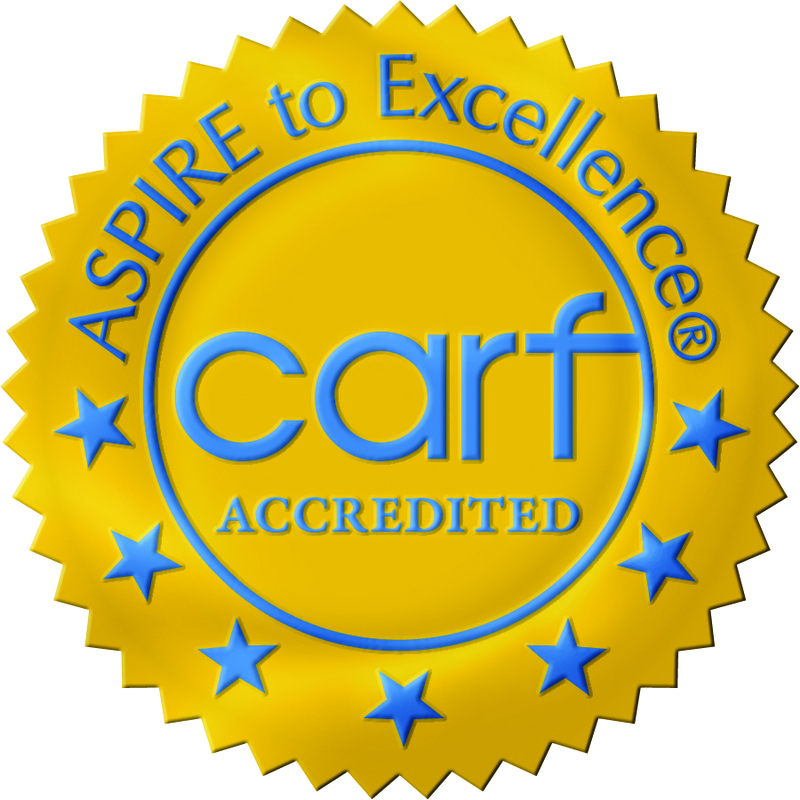 People who are dedicated to helping and improving lives of people with disabilities and making our community better. It is a great place to come and learn about what is going on in the community, learn from other professionals, swap ideas, network and more. We look forward to being apart of RE:CON in November. 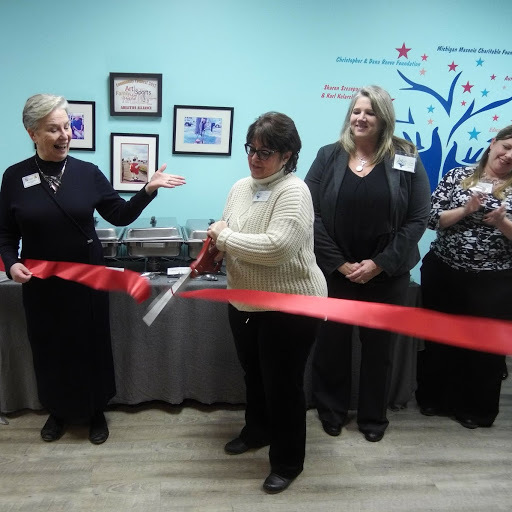 We are proud to announce that on February 9th we celebrated the official grand opening of our Autism Center in Howell, Michigan with an open house and ribbon cutting ceremony. 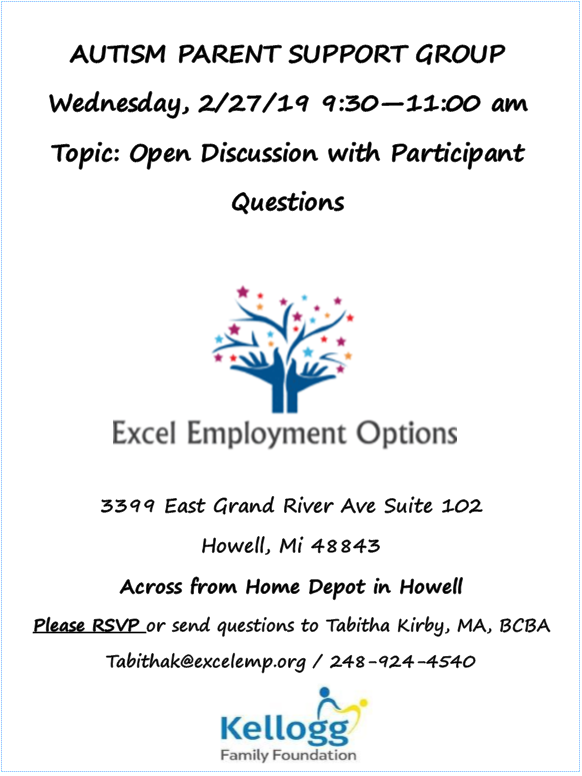 We are pleased that our partners from the Howell Area Chamber of Commerce and Kellogg Family Foundation could join us for this event. The event was open to the public and provided offered tours of the center and all of the great features and services it offers. Many of those who came to the open house were particularly impressed with the Kellogg Family Foundation Independent Living Center. In this section of the Center we have constructed a mock apartment for teaching individuals basic living skills to help them reach their maximum level of independence. With our new Autism Center, families in Howell as well as the rest of Livingston county, now have local access to cutting edge autism specialists and therapy services that never existed before in Livingston county. 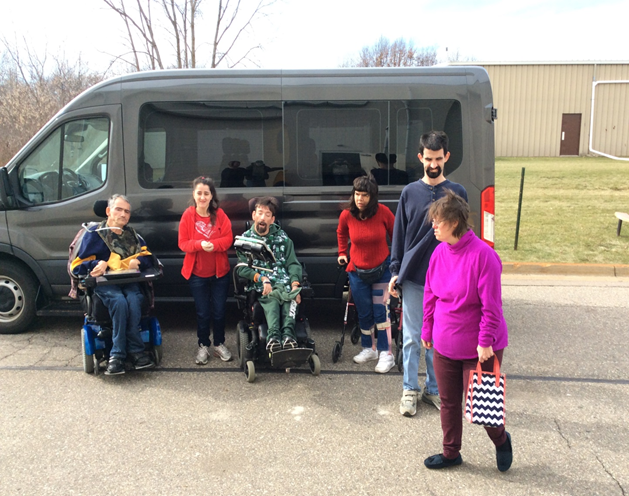 We look forward to brightening the future and lives of individuals in Livingston county's autistic community. 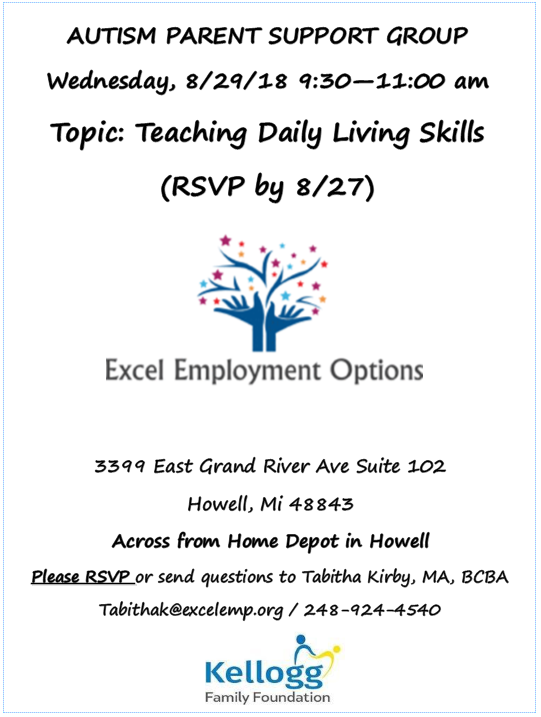 Excel Employment Options is offering an exciting new approach to group therapy through the use of table-top roleplaying games! Role-playing games used in a therapy setting help individuals better navigate their problems, situations, relationships and more on a deeper level than traditional therapy. Role-Playing situations through table-top gaming will help individuals build greater confidence in navigating situations. Often times individuals struggle with dealing with the unexpected twists and turns of real situations and that is what table-top gaming as a therapy will help them be better prepared for. Michigan Masonic Charitable Foundation Support Autism Services! Excel is excited to announce that it has received a $20,000 grant from The Michigan Masonic Charitable Foundation. These funds will help to support the developments of Excel's Autism and Support Services programs!